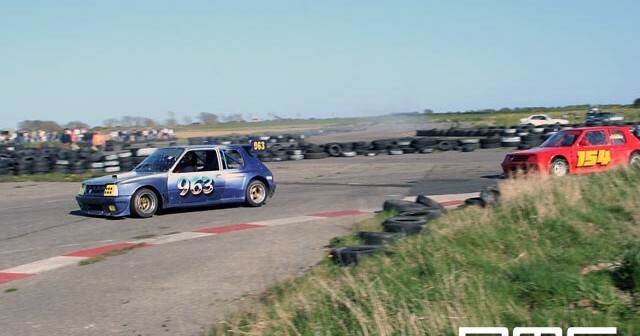 Side Ways Racing Club has been about for a long time now running events from their “base” at Aghadowey. SWRC have run what is one of the biggest growing events in the North. With it starting life as a race series, it has certainly gone from strength to strength to incorporate a track day / ¼ mile drag strip / show & shine area / and the famous Drifting. 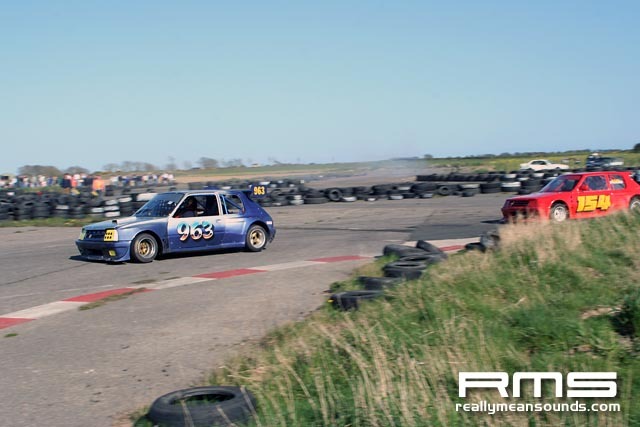 Sunday 23rd April saw the event move from Aghadowey to the old airfield race course at Bishopscourt and what a success it was! Early morning saw competitors arrive and by lunch time the crowds of spectators got well into the hundreds and beyond any estimation of the organisers which to say the least isn’t a bad thing and probably partly due to the awesome weather and the scenic drive for most to the circuit. The race series saw everything from the juniors in 1.2 novas to the sports hatch category and then the open class in which anything goes so to speak. As per usual the drifting was a great success with the usual suspects coming out to shred the tyres and entertain but a lot just didn’t expect the tar of this track to be so harsh and many simply couldn’t continue into the final as they had no more wheels or tyres to go out on. So at the end of the day all that could be said was well done to Wayne and Co. for running an amazing day and good luck for the next run at Bishopscourt. Full results to follow and images can be bought in varying sizes so please enquire if interested!